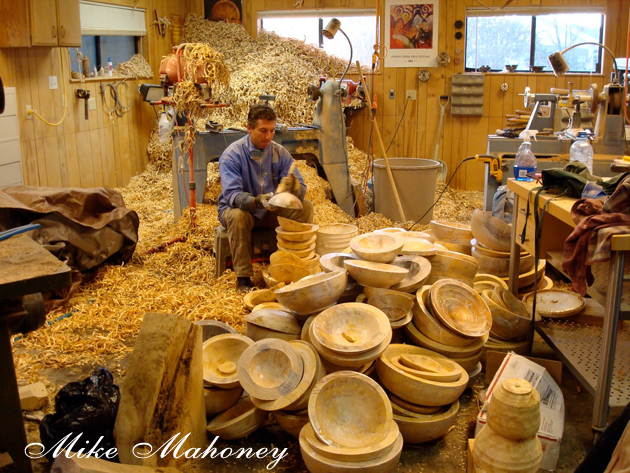 Since I have been involved with woodturning, I know that Mike is one of the most respectable names in the industry. I met Mike a few years ago and I can truly say that his kindness and warm smile transcends a wonderful sense of creativity and peacefulness. Those who have been lucky enough to be invited to Mike’s and Jenny’s house during the Provo Symposium can attest for their wonderful hospitality and warmth. Mike has been a professional woodturner for most of his adult life. He has specialized in making bowls and other utilitarian items. I am honored to know Mike and have learned from him.